School counseling is a relatively unfamiliar profession in Uganda and has only recently begun to catch the attention of school administrators. But even now in Uganda, it is often a position that is regarded as one that can be performed without professional training. This project aimed to pioneer the profession of professional school counseling in Uganda, employing more Ugandans, and helping students succeed in secondary school. We looked to evaluate the attitude towards counselors in the schools from students and administrators, as well as to support the profession of school counseling in Uganda. Masters level counselors were identified before arriving in Uganda. They received their masters in counseling degrees from Uganda Christian University. I developed a school counseling handbook and was sent electronically to these counselors before our arrival. Schools were identified previous to arrival and signed informed consent forms. Counselors were trained in person in methods specific to school counseling upon our arrival in Uganda. Three counselors began working in schools before our arrival. Placement of the remaining four counselors in schools was accomplished immediately when we got there and additional schools were found to participate throughout the month of stay in Uganda. Counselors worked with school headmasters to develop a program of counseling and intervention that would work for the individual school and address the needs of students in that school in order to help them succeed. We visited schools and counselors at least once a week throughout the month in order to offer support and resources where needed, and to evaluate the effectiveness of the program developed for that school. After one month of counselors counseling in schools, headmasters decided whether to retain the counselors as paid employees or not. We discussed the benefits of school counseling with headmasters and evaluated their perception of the benefits of counseling for their students. I also conducted final interviews with counselors reviewing their experiences in the schools and evaluating methods to continue the profession of school counseling in Uganda. Counselors were paid at the end of their month of work with the grant money. School counselors were received well by administrators into most schools. There were two schools that were visited that were not welcoming to the idea and would not accept the offer to have a counselor work with students for one month. Other administrators were excited to have full-time trained counselors and understood the benefits of having a school counselor even before they started working in the school. Students were benefitted by having a confidant (the counselor) to help them with their problems. Student issues included drugs, lack of ability to pay school fees, self-esteem, pregnancy, peer pressure, dating, motivation, decision-making, and more. These are common challenges adolescents everywhere face. Counselors were able to help students cope with challenges and find solutions to certain issues such as school fees and motivation. However, certain issues cannot be dealt with overnight and more long-term counseling and support is needed for these problems. Some school administrators did not necessarily realize this and were not as keen on the idea of school counseling after only one month because it takes longer to see changes in people than this short period of time. No counselors were retained as full time employees by the schools after the one-month trial period because of lack of funds to pay counselors. We attempted to explain to schools that if students were retained because of the counselors then the school would receive more school fees, and in turn, would have more money to pay the counselors. Some school administrators said there was already a counselor in the school but upon further explanation they often will have a teacher assigned to counsel students on certain issues. These teachers have limited time because they are teaching most of the time, and they usually have limited professional training in counseling. There are several roadblocks to school counseling becoming a standardized profession in Uganda. In order to help overcome these, we discussed what could be done and to help the profession grow and received input from the counselors themselves. One school counselor suggested that the government should instate a policy that requires all schools to have a professional counselor in order for the profession to gain rapport and understanding. There were many limitations in this study, seeing as in Uganda schools are run very differently and business is conducted very differently than in the United States. All data has yet to have been gathered. The month period was not ideal and was short for data collection so we are still in contact with counselors. Many student issues were not completely resolved with counselors in this month, but some counselors stayed to work with their remaining caseload of students after the month of the project ended. Many counselors discussed limitations they had to being even more effective and common issues were: lack of private space for the counselors, unwillingness of students to open up to counselors, and students dropping out because of inability to pay school fees. But counselors worked their hardest and did the best with what they had in the time they had. It should be noted that school counselors in the United States have different responsibilities than the counselors in Uganda due to differences in school systems, just as school counselor responsibility even within the United States varies. These school counselors in Uganda had goals to help children in long-term interventions, whereas in the United States, school counselors generally offer support to students, but are not licensed to provide therapy to students, so they refer students who need long-term counseling interventions. Uganda as a country values education and has many different school systems to address this, but it is not standardized and a school counselor to support the students is not common. These school counselors were able to make an impact and were respected and appreciated in the schools, but most schools were not ready to hire a professional counselor after the month trial period because of the additional cost to the school to hire another staff member. Overall, the project was successful in raising awareness of the importance of counseling, helping many students emotionally, academically, and socially as the counselors worked with them, and helped counselors find employment in schools and possibly continue working with them in the future. And as an added bonus, I learned more from this project than I could have imagined. 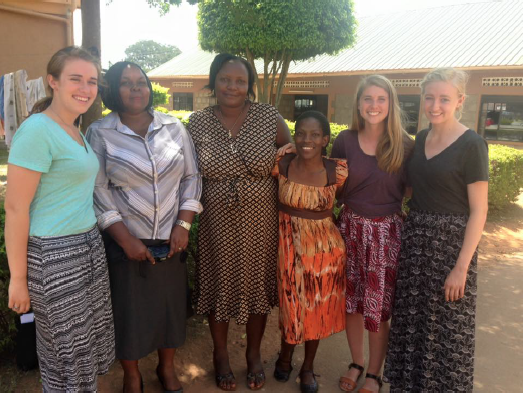 Figure 1 – This photograph shows three of the Ugandan school counselors, myself, and two of my fellow students working in different projects in the schools who traveled daily with me.